Sometimes panoramas are not level and have unwanted tripods…it happens. Straightening the horizon and removing the tripod from the panorama can be accomplished with a few simple clicks. Patches mode is an invaluable tool for fixing down shots (removing tripods), or any other part of the image because the defined patch area of the image is extracted without distortion. Just add the patch in the Viewer, extract it, edit it in your favorite editor and once it’s saved, the edited patch will be automatically applied non-destructively to the panorama. You can also use patches mode to apply logos and mirrorballs. Used in conjunction with the Master Node for tours, you can quickly apply the same patch to hundreds of images in a short amount of time. The new Leveling tool allows you to straighten the horizon of your panoramic image with ease. This is particularly helpful for images taken with cameras like the Ricoh Theta. If the panoramas have been geotagged, then most of your work is already done; just use the Automatic Linking and let Pano2VR Pro do the work for you. To check the linking or change the location, open the Tour Map to see the linked nodes placed on a map. To view only a portion of your virtual tour, use Tags to filter the images. Finally, use the Master Node to set any information or patches that should be the same across all the nodes. 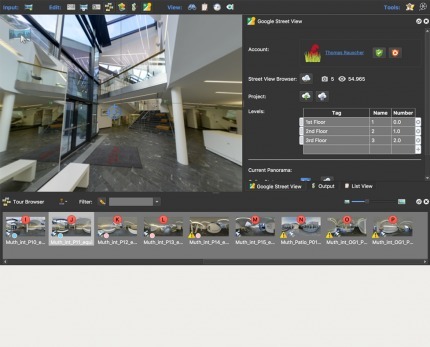 Add interactive elements like hotspots, directional sound and video to your panoramas. Use the powerful Skin Editor to design custom buttons and controllers – all of which can be made responsive so the design fits to any screen. No coding required. We promise! 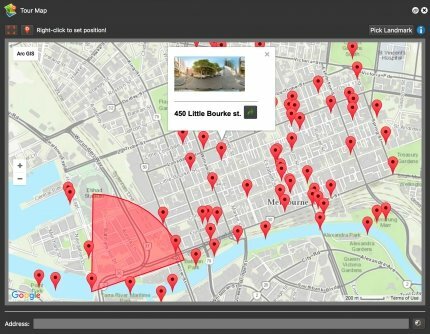 The central, interactive Viewer lets you accurately place hotspots, images, sounds, videos and even lens flares within the panorama. All of these elements add to the virtual experience especially when hotspots are used to pop up information texts or videos and images are seamlessly integrated within the panorama while lens flares and sounds add a realistic feel. You can decide to be creative and create your own skin or not and use our built-in skins. No matter what, we are willing to bet you’ll find the Skin Editor to be an invaluable tool for adding both simple and advanced actions to your projects. For instance, you can set a welcome screen to disappear after 5 seconds or you can create a fully automated narrative tour for kiosk playback. 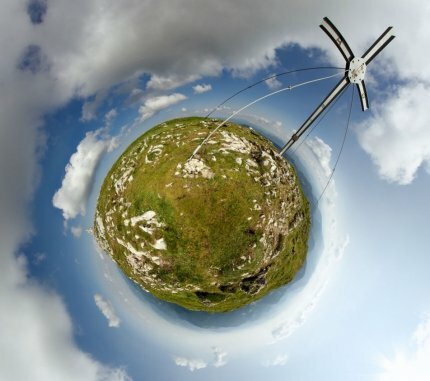 Spherical panoramas can be reprojected directly within Pano2VR’s Viewer, the Animation Editor, and on output (HTML5 - WebGL, Desktop, iPhone, etc.). If using a skin (overlay), the changing of projections can be controlled with a button. They can also be detected in the player, so you can change the skin depending on the projection using logic blocks. The projections are pixel accurate and support gigapixel resolutions. 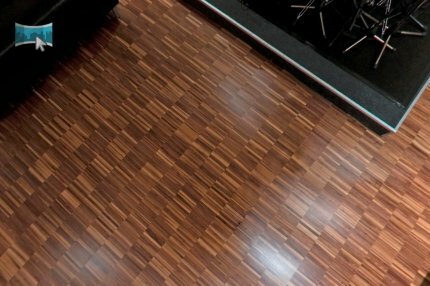 Guide viewers by creating an animation path through your panoramas or tour to show off the best areas. At any time, the viewer can interact and explore further. You can even export this walk-through as a video file. 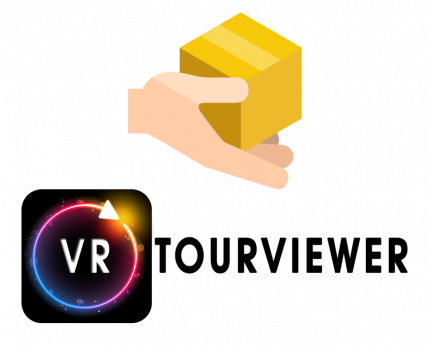 Pano2VR’s Animation Tool is where you can create the path for either auto rotation or a stand-alone video file. The video file can be used to upload to sites like YouTube and Vimeo or even Facebook and Twitter or anywhere else standard video files can be played. 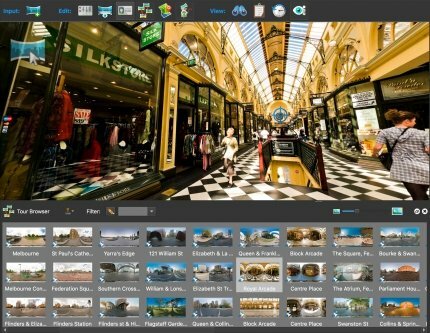 Pano2VR offers an easy way to add and edit existing panoramas and tours to Google Street View. Once you’ve connected your account, you will see all tours and panoramas that you’ve uploaded to Google Street View. You can continue to add to your gallery or even download the existing images. 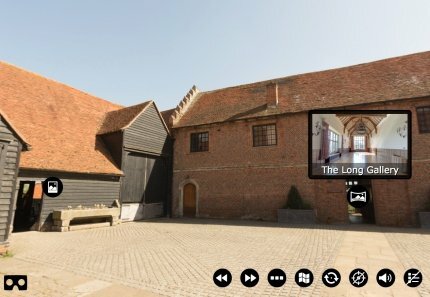 After importing your images to Pano2VR, use the Google Street View Panel to connect to your Google account and upload the entire tour (Pano2VR Pro) or individual panoramas (Pano2VR) to Google Maps. 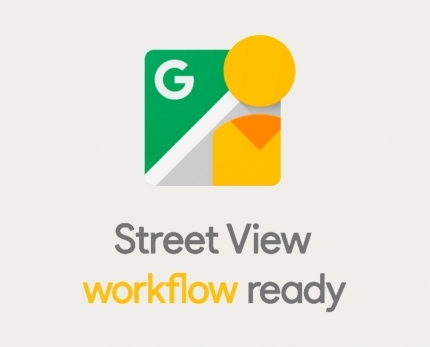 Your image will now be part of the Google Street View gallery. Use the blurring patch to blur faces and license plates and the blurred cover patch to hide the tripod. Use the Tour Map to visually edit the panorama’s locations and use tags to signify levels. The Google Street View panel is available since Pano2VR 5.2. No matter how you decide to show your work, Pano2VR will help you to prepare your project for publishing. 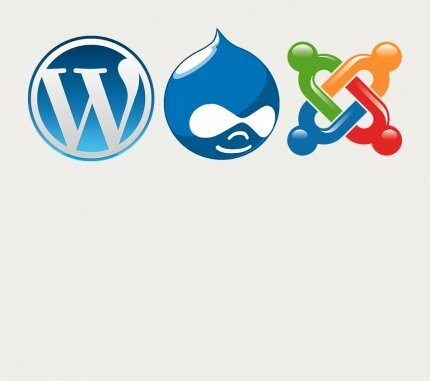 Not only are the plugins useful, but so are the multiple HTML templates we provide that you can use as is, or edit them to your needs. We also supply a template specifically for Google Cardboard viewing. Your panoramas are not bound only to a screen! You can also prepare your panoramas for print by using the Transformation Output. Choose from a variety of projections to output, including the well-loved Little Planet (Stereoscopic). 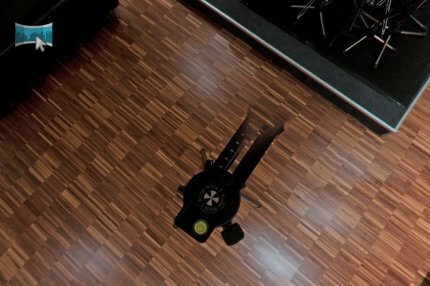 Want to share your work in VR? 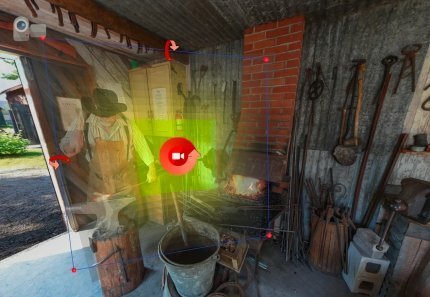 You can do this, too, using VRTourviewer which allows you to view Pano2VR projects in Oculus Go and Rift, Google Daydream and Samsung GearVR headsets. Posting your projects is only one part of the final output. Sharing your work is the other part. Pano2VR has a quick export feature that injects the necessary metadata for posting on sites like Facebook and Google+. Sometimes you just want to quickly share an image to the social networks. But, then only to find out that the network doesn’t accept the image as a 360º image. This is usually caused by missing metadata. Pano2VR has a quick export button that not only injects the panoramic image with the needed metadata, but it also saves the default view and patch if you added it. 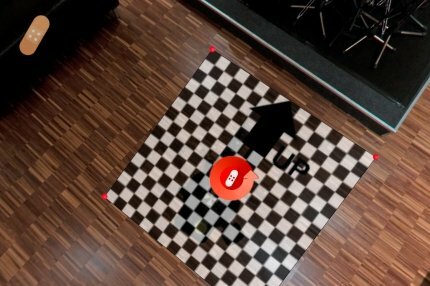 VRTourviewer by 3DV, is a great solution for viewing Pano2VR projects online or offline in VR. You can view not only tours but also 360º videos. For Windows users, there is also the ability for live/real-time viewing of a user’s experience. 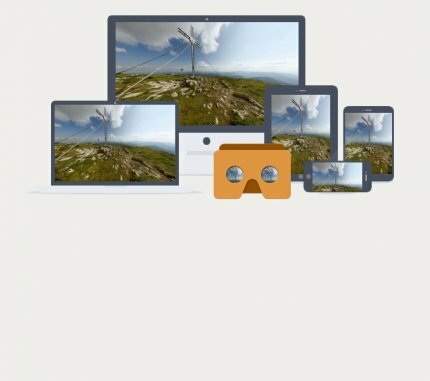 Cardboard and Daydream versions are on the Google Play store. The Rift version can be downloaded here. And the Go and GearVR versions are available through an Oculus release channel. More information can be found on VRTourviewer’s site. 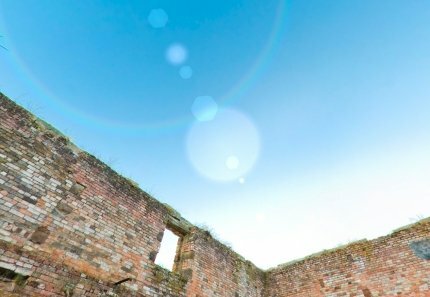 Download and test Pano2VR as long as you like. If you would like to use Pano2VR without visible watermarks or node limitation in Pano2VR Pro, you will need to order a license key. Pano2VR 6.0.4 maintenance update. You can find more details in our blog post. This version contains a hotfix for a bug in the default skins! This is the second Pano2VR 6.1 beta release with improved WebVR support. You can find more details in our blog post. This version contains two hotfixes for the skin and gigapixel images! This is the first Pano2VR 6.1 beta release with WebVR support. You can find more details in our blog post. Pano2VR 6.0.3 maintenance update. You can find more details in our blog post. 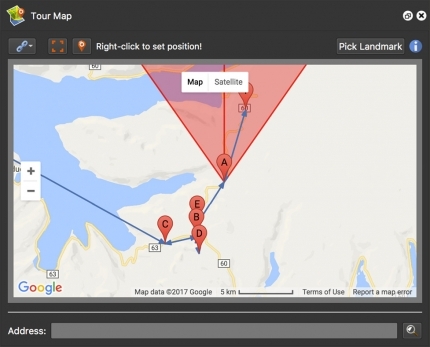 This release uses the new Google APIs and also brings back the search within the Map. This is a bugfix release for a bug introduced in 4.5.2 that prevented interaction with panoramas on older iOS Devices (iOS <=7). This new version of Pano2VR is bug fix release. The Mac App Store version fixes a bug where the Flash Skins didn't work properly. A WebGL memory leak in the HTML5 player was fixed for all Pano2VR versions. This list shows you a detailed list of features of Pano2VR. If you have an older Pano2VR license, you can always upgrade to the current version or you can upgrade from Pano2VR to Pano2VR pro for the price difference between the products. Learn more about how to upgrade and what options are available to you.